Personally, I believe it was a kiss, for reasons I’ll go into below. That being said, I fully support anyone who believes otherwise, which brings me to my next point. What I’m really concerned about is the view that “Kubo implied that it was obvious”—especially when this is used to bash fans whose interpretation of Yuuri and Victor’s relationship is not the same as the dominant one. It was not a surprise when social media erupted after this episode. In particular, numerous overseas fans reached out to Kubo to ask whether it was a kiss or a hug. But despite an early tweet about something “synching” with the popular Japanese drama Nigehaji: We married as a job—where the lead couple kissed for the first time that very week—Kubo spent the next few weeks deflecting the question. The creative team wasn’t, she maintained, going to compel anyone to read that scene in a particular way; instead, she kept asking everyone to decide for themselves. But I don’t think that’s the point Kubo was trying to make. The creators may indeed regard it as obvious, as a lot of people in the fandom do—the comment about “synching with” episode 6 of Nigehaji only seems to confirm that. p.s. I’m loving this show—it’s really cute, but also incredibly heartfelt! However, the idea that “Japanese fans didn’t need to ask because it was obvious”—and the related “Kubo implied that it was obvious”—is, once again, an interpretation born in the Western fandom. Time and time again, Kubo has laid out a different logic behind their decision not to clarify exactly what happened: they want fans to decide for themselves what it was. But why would they do that? Viewers have come up with a range of explanations, including concerns over media censorship, the desire to appeal to as many people as possible and the straight out charge that the creators were, indeed, queerbaiting. Many people have already addressed the merits and demerits of each of these explanations far more articulately than I would be able to. Hence, I would like to bring the focus back to a second tweet that Kubo posted on the night of December 8 instead. What’s really interesting about that tweet, however, is that it was made following some angry and frustrated replies that Kubo received to her earlier comment about “letting everyone decide.” As toraonice also pointed out, people were accusing her of being “vague on purpose ‘to keep the fanservice on the level of queerbaiting without confirming anything serious’,” and this second tweet may have been, in part, Kubo’s answer to some of those complaints. In other words, Kubo wasn’t specifically talking about homophobia in that tweet; rather, she was talking about the issue of discrimination a bit more generally. This brings me to the real point I want to make. To be honest, I actually do not have a problem with fans arguing “it should be obvious.” As I noted above, I personally believe that it was a kiss, and not just because of the Nigehaji tweet. 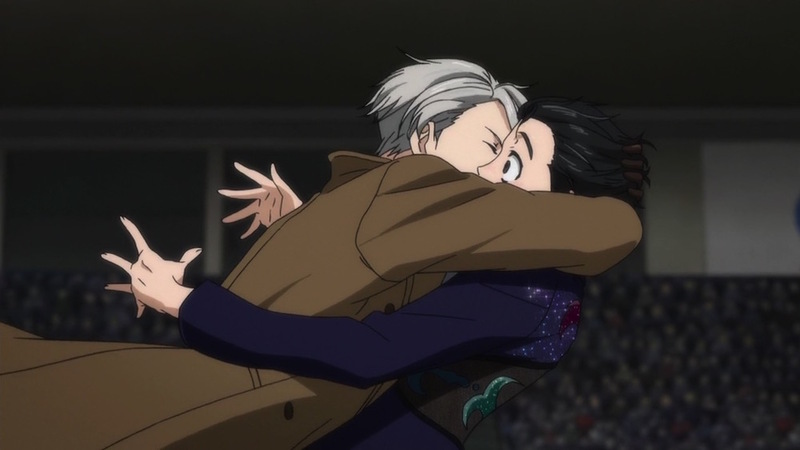 Narratively, given how much skinship there had been between them by that point, I just can’t see Victor thinking that anything less than a kiss would surprise Yuuri. The bigger question is what the kiss actually means, but there, I’m going to take the creators’ stance: everyone should interpret it for themselves. The more important message, however, is that everyone should be free to interpret the show however they want, and no one should be discriminated against for doing so. In other words, everyone can believe what they want about the kiss and about the relationship, but no one should try to force their own interpretations on others. And this includes not only the fans who believe that Yuuri and Victor ended up being engaged by the end of the show, but also those who believe that they didn’t. It also includes those who are ecstatic about their interpretation, and those who have serious reservations. As far as I can tell, there are viewers across the entire spectrum. By “romantically involved,” I’m referring to what the average person means by a romantic relationship: an exclusive, sexually intimate relationship. What worries me is that fans who don’t place themselves near the top right of this chart have been and are being attacked for their beliefs. I don’t mean congenial discussions that end with “let’s just agree to disagree”; rather, I’m referring to personal attacks involving name-calling and slurs such as “homophobic” and “dumb.” I’ve been subjected to such attacks myself, though nothing compared to what other friends have experienced. I normally respond to everyone who engages with me on this blog, but I’ve chosen not approve those particular comments because they attacked me directly instead of addressing what I’ve written or said. Instead, let me say a few brief words here. I love the relationship between Yuuri and Victor. I love that they inspired each other to continue skating. I love how we saw them growing closer, so close that they both decided they couldn’t live without each other. And I love that Kubo has indicated that they are “soulmates.” But above all, I respect Kubo for what she wrote about discrimination on December 8. I’m not trying to point fingers at anyone in particular. I just hope that people across all fandoms recognise the behaviour I am referring to, and, where possible, work towards making sure it doesn’t happen around them. 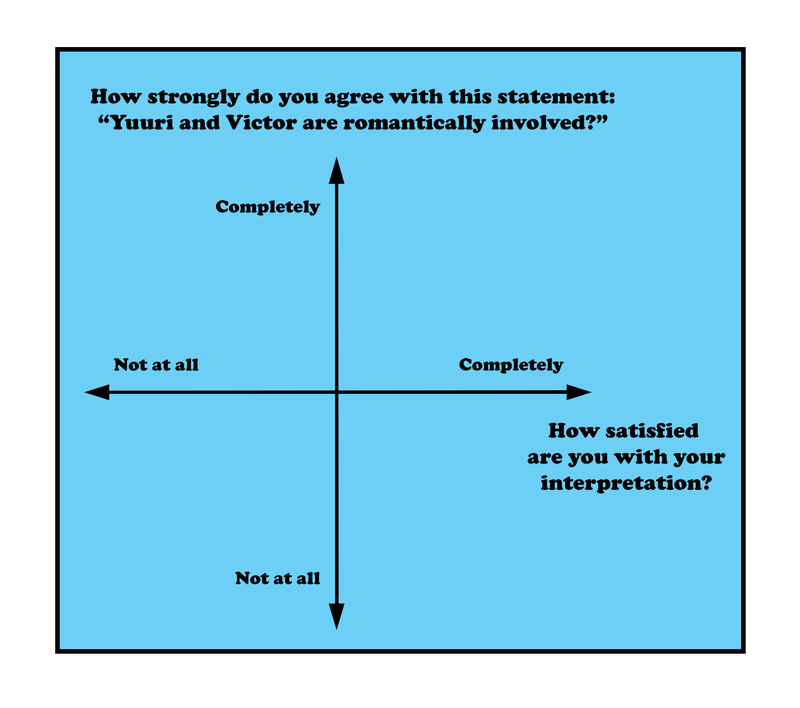 A disagreement over how to interpret a fictional series is not something that should lead to personal attacks and acrimony. I’d much rather enjoy media and experiences that make me happy, or otherwise add something to my life, wouldn’t you? In any case, this was the second example of “what Kubo actually said” that I wanted to address. As Kubo herself has said multiple times, everyone is completely free to interpret Yuri!!! on ICE how they wish, so please do not attack others who don’t see things as you do. Please also take care not to misquote the creators or take their words out of context—if you disagree with them, it’s probably best to ignore them instead. And with that, there’s just one last case to go—I should be able to get to it within the next two weeks. It can be so frustrating dealing with people on social media, lol. Let me first start by saying I think you and toraonice are strong people. You volunteer so much time and effort to translate material so the rest of us can have access to this information. But then ungrateful jerks decide to lash out and hurl insults and slurs…. I’m sorry those terrible things were said to you by these fanatics. I would definitely have just given up in disgust. Does toraonice have a Twitter account? I tried searching on their Tumblr page and couldn’t fine one; the @toraonice doesn’t appear to exist either. Also, the whole thing screams of a clash of cultures. Leaving things open to interpretation is likely more acceptable in Asian countries, hence why most Japanese fans weren’t up in arms about the vagueness. But that can unfortunately interfere with the full-throated push for diversity in anime that some in the West want. Thanks for the encouragement! For me personally, part of the reason I can keep going is that I’ve got a pretty good support network…perhaps it’s too strong, since I find myself retreating to translation when I want to get away from real life pressures! But a few people have been of great help, and I’ll really should read/listen to more of their work too, hopefully this weekend! Tora does have twitter account, but it’s not one that she’s linked to her translation work on YOI. She might just want to keep it private (and I must say: can’t blame her!). Accusing her of “queerbaiting” is insulting and even dismissive of cultural differences. Yup, “queerbaiting” is something that I suspect is unique to Western media discourse. There’s something called “fujoshi-baiting” in Japan, but it’s actually quite a different thing, because most fujoshi aren’t queer. (According to tora, some of them are actually quite homophobic!) So, one problem I sense is a huge misunderstanding about fujoshi, both in terms of the kind of media they seek and the place they have in society (which are related). And lines are being blurred, actually, because there are some BL mangaka that seem to be going for realistic works rather than just fantasy stuff. You reminded me that this really is something Japanese people like to do! 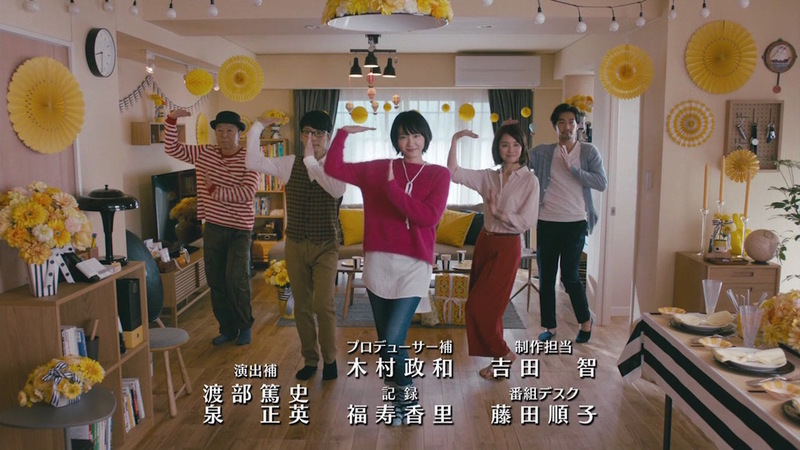 I could name a number of live-action Japanese movies that almost made me scream because of this! But there are other cultures who may be even more prone to this: have you ever seen the Israeli film, Footnote? 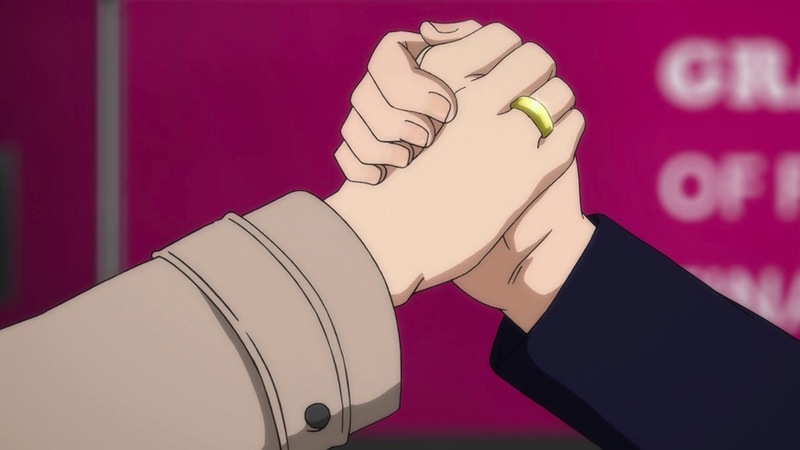 Oh, and to clarify my post above: I fully support seeing more LGBTQ romantic relationships AND non-romantic relationships in anime. Kubo’s viewpoint on the matter with regards to YOI would adequately satisfy both viewpoints. Accusing her of “queerbaiting” is insulting and even dismissive of cultural differences. 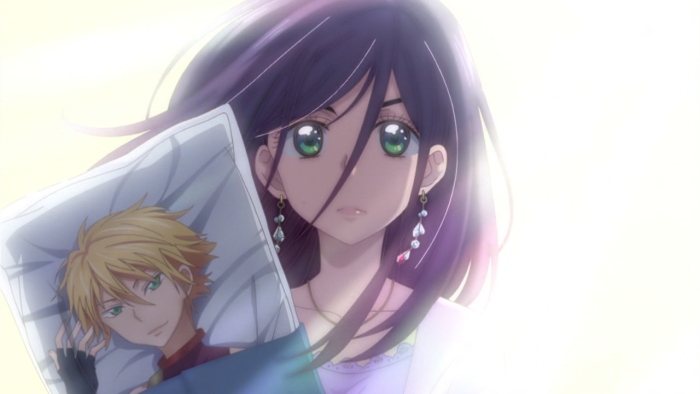 But anime could definitely benefit from explicitly having more of these kinds of relationships.